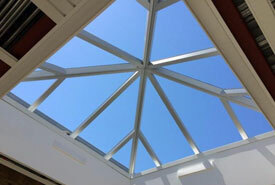 As a full service general contracting firm, we provide an array of building disciplines to both public and private clients who value exceptional service and a reputation of integrity in a partner. 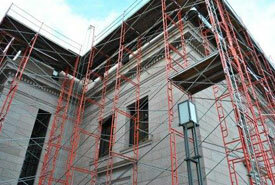 Our promise is to deliver outstanding work on schedule and within budget. Our landmark projects include hospital facilities, commercial renovations and developments, public housing, and restaurants. From the sketch on a napkin to the permit, to the day of occupancy, Versacon has multiple design capabilities and is able to provide the best value to our clients. 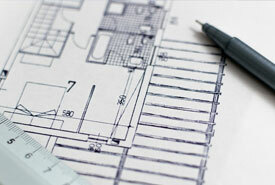 Professional on staff Engineers are experienced in multiple high-profile and high-priority design build projects. 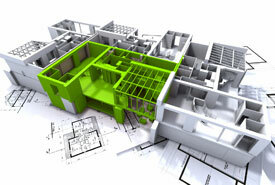 Versacon is focused on designing projects that present creative cost savings alternative solutions to the owner. Proper execution of your project is critical. Comprehensive project controls are established to manage issues that may be critical to your project; determining project scope, budget planning, time, material and cost management, quality control and safety. Management of the overall project in partnership with our client through ongoing communication ensures successful implementation and results every time. From moderate designs in mid-rise office buildings to large scale projects, our in-house team is ready to complete simple service requests or construct complete build-outs with minimum disruption to the day to day business of our client. 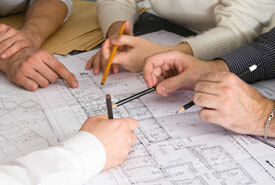 All of our work is executed or supervised by Versacon employees who are skilled in every phase of tenant improvements. We will manage the process from start to finish, providing turn-key service and ensuring complete peace of mind. Versacon makes sure that the final product meets the satisfaction of all parties. By utilizing Versacon’s pre-construction services, our team of experts can devise a plan to fulfill your construction needs. Each new project brings fresh challenges and nuances of scope. By working closely with our client, the team coordinates a plan that includes: construction design, material options, and a detailed breakdown of timing & logistics. Throughout the process the Versacon team is focused on quality and client satisfaction, while maximizing cost savings. Value Engineering is at the core of how Versacon operates. The Value Engineering service is accomplished by systematically following a multi-stage job plan that includes, information gathering, measurements and evaluations. We identify and recommend materials and methods that are cost-effective, yet maintain the integrity of the design intent. By improving the value of goods and services we provide, the team prioritizes its analysis of the construction process and incorporates cost-effective strategies throughout our procedures. 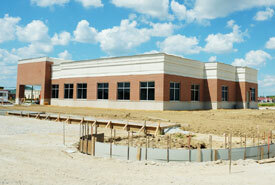 Versacon can also provide consulting services from conception to notice to proceed through project closeout.